The Farnborough International Airshow which started earlier this week has already seen some exciting announcements such as funding for the UK’s first vertical Spaceport from the UK Space Agency and the next UK Space Conference to be held inWales in 2019! 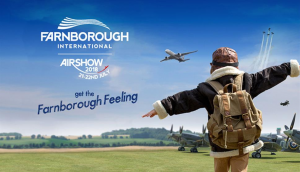 Farnborough is one of the world’s largest air shows attracting industry experts from all over the world to showcase their latest technology to potential investors and of thousands of aviation enthusiasts. 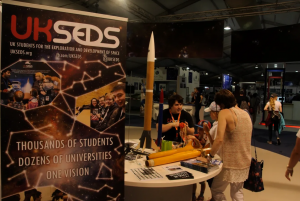 UKSEDS and SpaceCareers.uk can be found in the Space Zone over the weekend so why not come by and find out more about launching your career in the space industry and get hands on with some space activities! ← Lunar Rover Competition 2018 Winners!